Slim and Lightweight: What phone is this? Come and join to win a unique/convertible 2GB USB or a brand new smart phone. It's easy if you guess this correctly. This is still part of the Glich's Life Share It, Guess It, Win It giveaway. We're starting the GUESS IT part of the giveaway, so if you're good in guessing and 'investigating' stuff, this will be a no sweat mini-contest for you. This will be fun, so don't forget to share it with your friends. This mobile device is slim and lightweight. It's just eight and a half millimeters thin and feels super lightweight compared to other mobile devices. 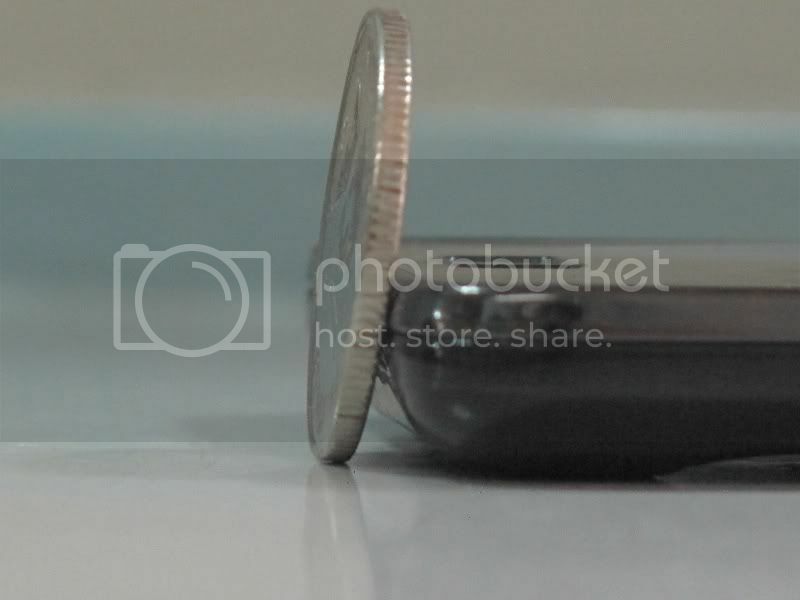 See, it's not even half of a 1-peso coin. 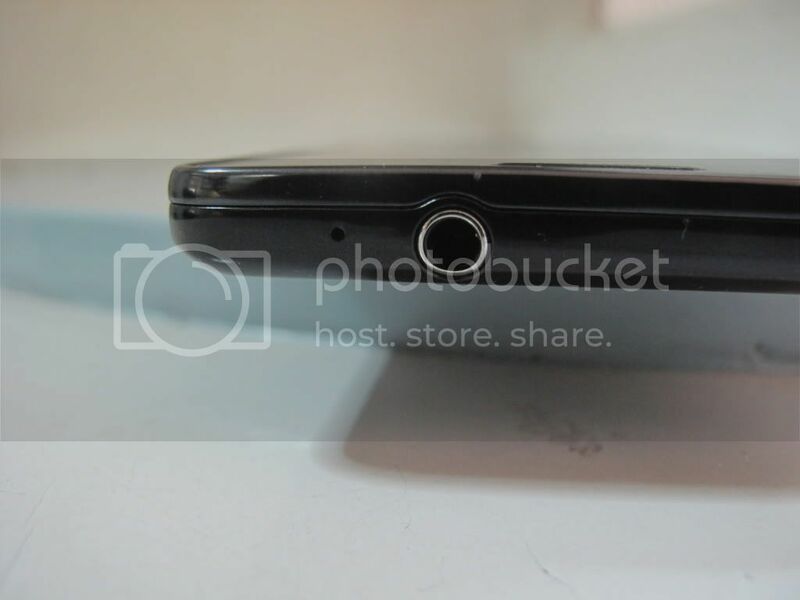 Can you guess what mobile phone is this? You can plug in any standard earphones to this mobile device and listen to your favorite music, movies or games. No hassle to switch from one type of earphone to another. Do you know what mobile phone is this? Join now if you know the answer! Fill in your complete details below and choose "Slim and Lightweight: What phone is this?" in the field that asks which mini-contest are you joining. Input your guess and stand a chance to win prizes. Answers posted in the comments section are not qualified. Only residents in Metro Manila or those who can claim the prize are qualified for this giveaway. You can join as many times as you can for this mini-contest, but you may not use the same email address each time. There will be 1 winner for this GUESS IT entry, whom I will email once this closes. The draw will be done in random using Random.org from those who will be able to guess it correctly. All participants who get the answer correctly will stand a chance to win a brand new smart phone at the end of the Glich's Life Share It, Guess It, Win It giveaway. Deadline to send in your answers will be at 11:59PM of June 9, 2011. Got any more questions? Post 'em below. Happy guessing! yeah! I just submitted my guess :D sana manalo! Rico - thanks, mate! Long time no see. KVJ - Yes. Basta different email addresses. Got it! This is awesome! omg..parang wla pa yung next clues? sir glenn? Joephet - Wala pa talaga :) Wait ka lang. Marami pa namang rounds. Pwede pa rin po ba sumali sa next round kapag nakasali na dito sa round 1? granting na same email address parin yung gagamitin? Thanks! Melvin - No reported problems naman so far. If you weren't able to join, it's alright. There are more rounds to go. Pwede po uli sumali sa next round yung nakasali na sa round 1? tapos na po ba yung smartphone give away?